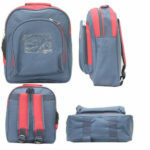 Bags & Pack is a platform to connect leading manufacturer and supplier of all types of bags based in Bangalore. Here we provide school bags, college bags, corporate bags with personalized branding and design, we work with schools, colleges, institutions and corporate companies and provide bags with their branding, design and size. We manufacture and Supply all types of School bags, college bags, corporate bags & customized bags with our partners. Having own name and logo on the bags is an important factor for creating brand awareness among the public. The Students, Employees carrying a bag with your school, college, institution or company name and logo will help you in marketing and branding. We provide you the bags that will fit in your budget and quality and will be delivered on time to your door step. 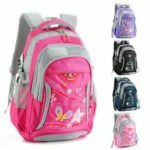 SCHOOL BAGS: We provide school bags with your personalized branding and design, any size, color you want, we will work with your school and provide bags with your branding, design and size. 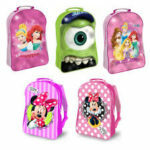 The bags size differs from class to class and school to school, we will provide the different sizes per your requirement. COLLEGE BAGS: We provide college bags with your personalized branding and design, let us know how you want it we will do the way you want it with your branding, design and size. 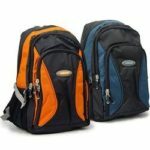 CORPORATE BAGS: We provide the corporate bags for companies with their branding on it with high quality and best design. CUSTOM BAGS: Need a customized bag? We will help you, we will design it for your and make sure that you get the right product that meets your requirement. BAG PACKS: We provide bag pack any different designs and sizes which can be used by individuals, professionals and can be used for corporate gifting purpose. BAGS & PACKS is an SBU of Starshade Business Services Pvt. Ltd.